April 27, 2018: BlackBeltHelp today announced that it has been named as one of the top tech companies to look out for in 2018 by Businessworld TechTors Awards jury. BWDisrupt TechTors Awards is a novel initiative by Businessworld magazine to encourage and recognize the best startups in the technology sector. BlackBeltHelp won in the category - Top Tech Companies to Look Out for in 2018. An esteemed jury comprising of investors, technology heads and other tech leaders selected BlackBeltHelp over almost 150 leading startups from the technology sector. Ron Bhalla, CEO, BlackBeltHelp received the award on company’s behalf. In his message to young entrepreneurs and budding startup founders, he said, “You should be brave enough to dream big and sincere enough to work towards achieving them. While it might be a bumpy ride initially, the difficulties don’t last if you have an engaged, motivated team at hand”. He further thanked the leading magazine for bestowing the honor on the company. 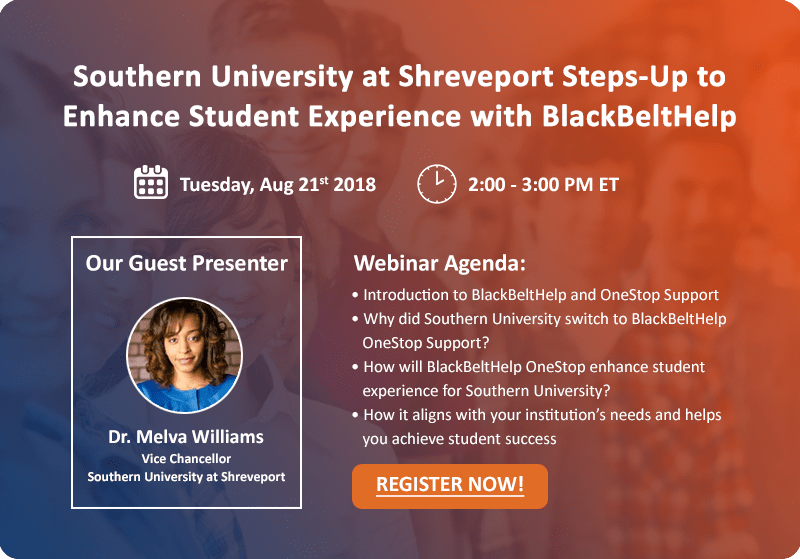 Founded in 2011, BlackBeltHelp is a leading help desk products and services company in the US higher education sector. It supports more than 200 educational institutions across the US region and helps over 4 million students in their academic lifecycles each year. The BWDisrupt TechTors Awards aim to discover a new set of entrepreneurs who are changing the rules of the game every day with their unmatched passion and skills to achieve the numero uno status for their respective organizations.